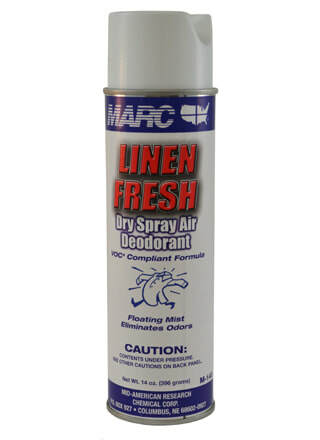 A VOC compliant dry spray air and fabric deodorant. The floating mist counteracts odors while not staining fabrics. Destroys odors such as smoke, decay, solvent, cooking, animal and more.